Nested in-between the Drina and Sava rivers, Bijeljina is the most developed town in the vast plains of the northwestern Semberija region and a crossroad of important roads leading in and out of Bosnia and Herzegovina. The place was first mentioned in 1446, when a Dubrovnik tradesman got robbed by men of a local ruler of that time. A document in Latin describing this event is kept in Dubrovnik National Archive, in the Lamenta de foris collection. Bijeljina centre is graced by specific architecture of the City Hall, Museum of Semberija, Gymnasium, Monastery of St Basil of Ostrog and other landmarks. The area surrounding it hosts many monasteries, an ethno-village and Dvorovi spa. 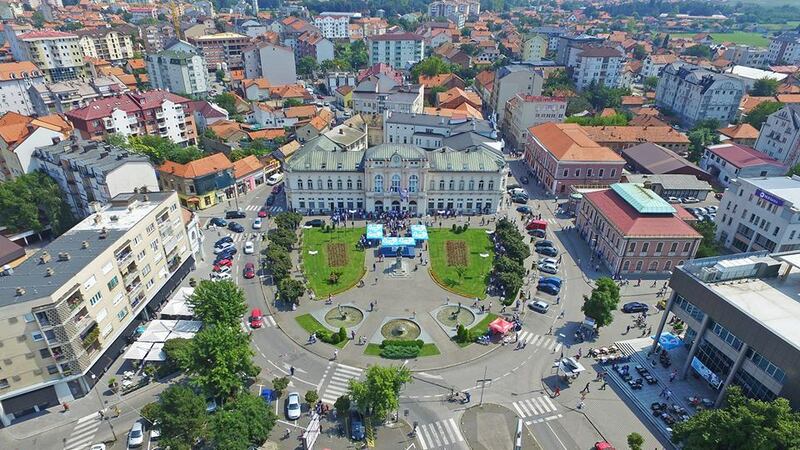 Owing to traditional hospitality of the Semberijans, quality offer in the religious, fishing, ethno, spa and hunting tourism, Bijeljina has become an attractive destination that is visited by more and more domestic and foreign tourists.